Posted Thursday, July 3rd, 2014 by Greg Gladman. 3D printing is always pushing to new horizons. Whether it’s in the field of medicine, technical gadgets or interactive learning, 3D printing is about creating improvements for our lives or recreating experiences as you will soon read about. Check out some of the newest developments. As a major part of our circulatory system, blood vessels are vital to carrying nutrients to the rest of the body and removing waste. Researchers have recently developed a way to create a synthetic system of vessels that they hope will be used for transplants or testing new drugs. Previous attempts at creating blood vessels with 3D printing either used actual cells or printed a structure on which the cells would grow. However, this method often damaged or killed the cells. 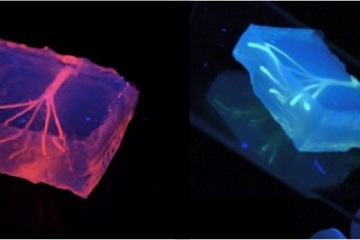 This latest development though, led by a biomedical engineer Ali Khademhosseini and his team of researchers, printed a template for cell growth that could be pulled out later so as not to destroy the cells. The blood vessels created through this method could then transport fluids effectively and allow the cells to mature. Interested in reading more? Check out the full story here. Sounds fun, right? Creopop, the company that is developing the 3D pen, will soon make it available to consumers. How does it work? The pen uses a gel-like polymer and 3 blue UV lights. As a motor inside the pen forces out the gel, the gel comes in contact with the lights. This causes an instant chemical reaction, and the gel hardens as soon as the light hits it. As you draw, the gel hardens and adheres to itself, which allows its user to draw on top of other lines. You can also use the pen to make shapes in 2D and then connect them to other 2D shapes to construct a 3D one. There are still some kinks to work out before the pen hits consumer markets, but expect to see it sometime next year along with different colors of ink and ink capsule refills. Read more about it. 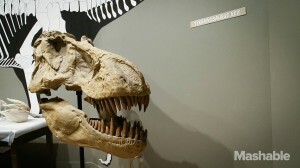 The Smithsonian Museum of Natural History in Washington, D.C. is undergoing a project of scanning each bone of a T-Rex. When they are finished, they will upload the graphics online. If you have or know someone with a 3D printer, you will be able to print your own replica to scale. The project (a huge one to say the least) is an attempt to digitize its archives and make the data freely available online. The 3D scanning team also hopes that this technology will be used to study more fragile artifacts without the worry of damaging them. Educators and students will get the same opportunities to study the artifacts on their own as more and more 3D printers become available to the general public. Learn more about this project here.